As a reputable walk in clinic, Health Express Urgent Care offers residents throughout the Avon Lake, OH, area comprehensive medical care that is more convenient and personable than a visit to the emergency room. Our experienced medical professionals provide expert treatment for a wide variety of non-emergency illnesses and injuries, including skin conditions, lacerations, strep throat, fractures, and more. Additionally, we are open seven days a week, offer extended hours, and do not require appointments, so patients have access to our high-quality care when they need it most. Physical exams – The medical professionals at Health Express Urgent Care can perform a variety of comprehensive physical examinations, including sports, school, and pre-employment physicals, so that both children and adults alike can receive the care they need. Immunizations – We provide the necessary vaccinations, such as for the flu, to help patients stay happy and healthy all year long. 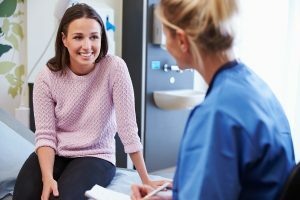 Testing – X-rays, STD testing, TB screenings, EKGs, and mononucleosis testing are just a few of the diagnostic testing services that our medical professionals can perform onsite at Health Express Urgent Care. Occupational health services – Whether you require drug screenings, pre-employment physicals, immunizations, or breath alcohol testing for your employees, or just need general medical care and workers’ compensation, we provide everything you need to keep your team healthy and ready for work. Employers also have the ability to create an account with us to better manage all their employees’ medical needs. What’s more, all patients have access to their electronic medical records through our state-of-the-art patient portal. In fact, we are a completely paperless walk in clinic, even offering e-prescriptions. To receive medical attention and quality service from the professionals at Health Express Urgent Care, visit our walk in clinic in Avon Lake, Ohio, at your convenience.